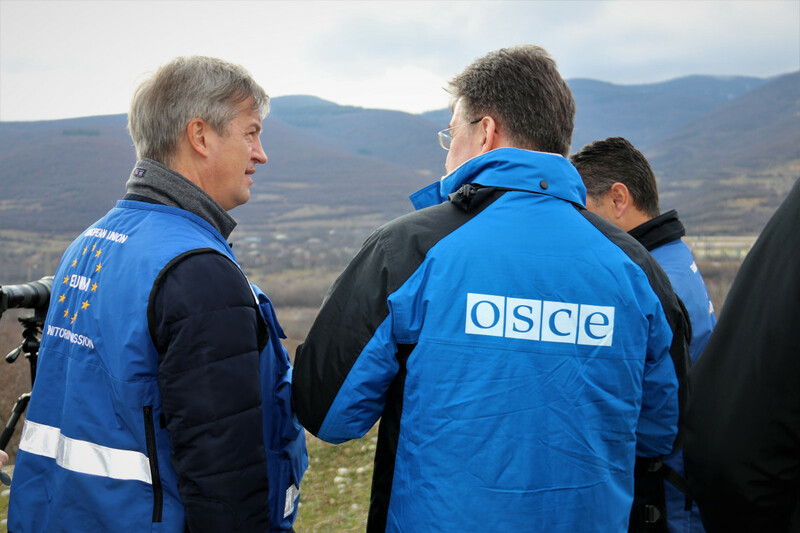 On 10 February, the OSCE Chairperson in Office and Minister of Foreign and European Affairs, H.E. 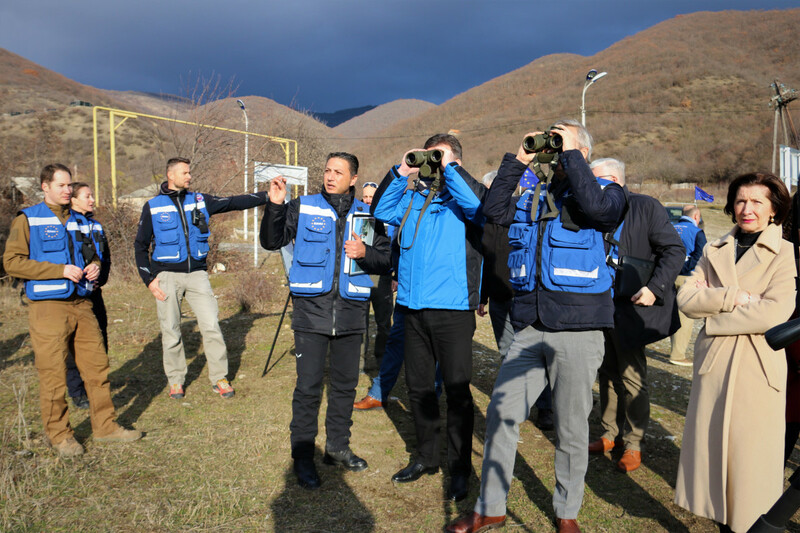 Miroslav Lajčák, and delegation joined the EU Monitoring Mission (EUMM) for a briefing near Odzisi at the Administrative Boundary Line with South Ossetia. H.E. 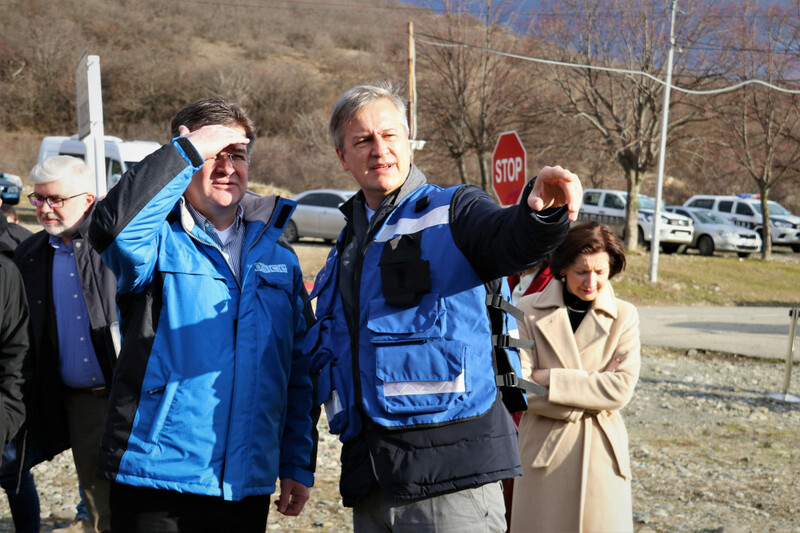 Miroslav Lajčák was welcomed by the Head of the EUMM, Erik Høeg, who gave an overview of activities of the Mission and present challenges to stability at the Administrative Boundary Line. Minister Lajčák received a briefing by EUMM monitors focusing on borderization in the area and challenges to freedom of movement. He also had a chance to meet with Slovak nationals presently working in the EUMM - to discuss their role and experiences in the Mission. H.E. 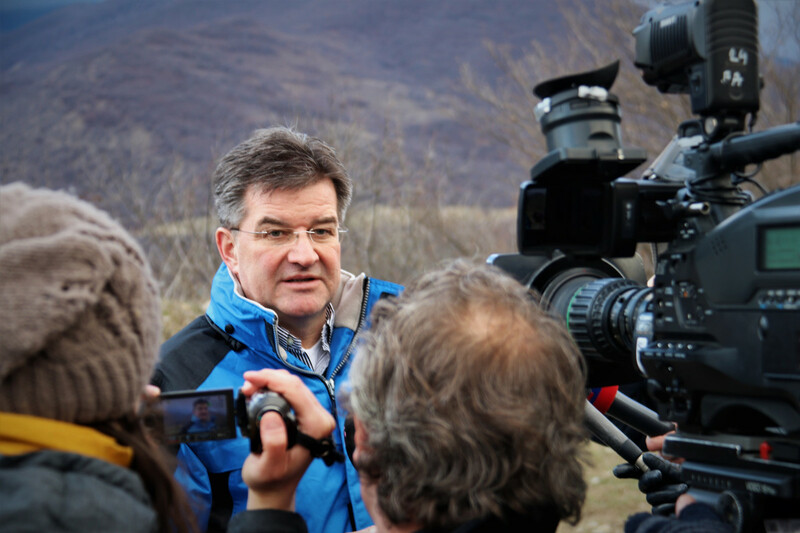 Miroslav Lajčák expressed his appreciation for the visit and for the role played by EUMM. 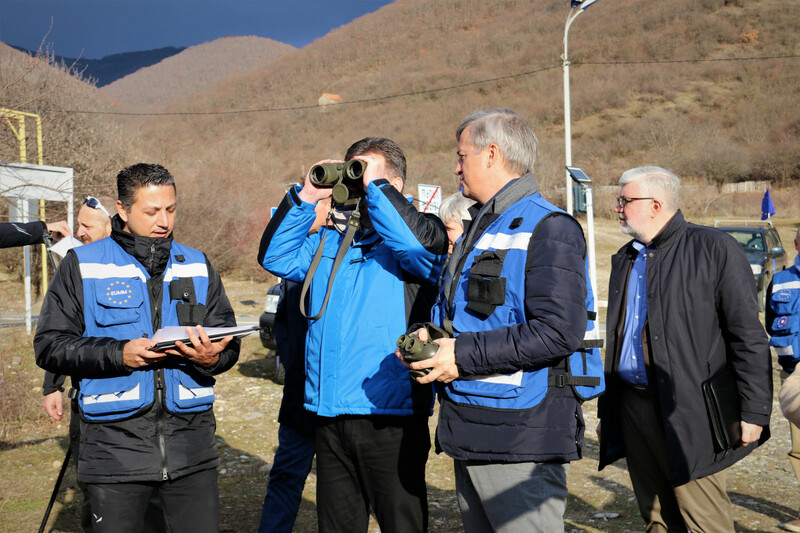 He also welcomed the excellent cooperation between the EUMM and OSCE, including in the context of the monthly IPRM meeting in Ergneti. 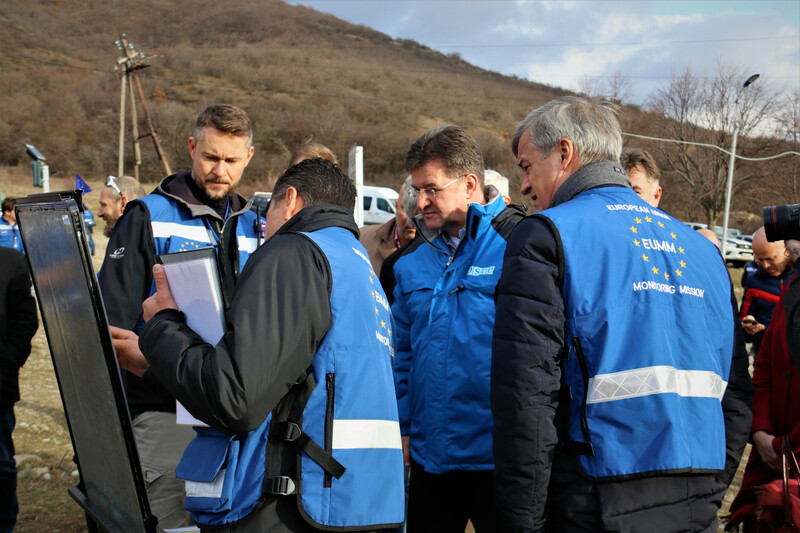 The Head of the EUMM thanked the Minister for the strong support from Slovakia to the Mission, including by sending qualified professionals to serve in the EUMM.